Contact Trident Plumbing and Drain Cleaning whenever you need a good gas line installation & repair service in Lynnwood and the surrounding areas. We are available to provide efficient, safe, and reliable installations, repair, and replacement services for either your home or your business. 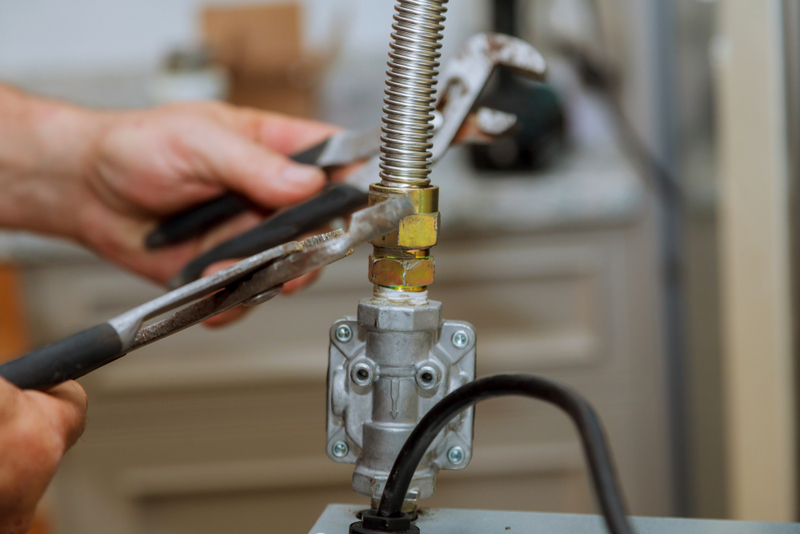 It goes without saying that a gas line that is defective will not only impact your cooking, heating, and the use of your gas appliances, but it can also be potentially dangerous. This is why you need to have help from gas line professionals that you can get the work done right the first time. The plumbing technicians that we have on staff are also fully trained for gas fitting and gas line services. We specialize in gas-related tasks such as installation, repair or replacement and we always guarantee the results. We can come out to your home to help with the installation of a brand new gas line or to help with the installation of appliances like your gas fireplace, outdoor kitchen, gas range, gas clothes dryer, and much more. Have you been noticing that your gas bill has been on the rise lately? If so, then you may have a hidden gas line leak that should be located and repaired as soon as possible. We will come out to your home to find the leak and then provide you with a detailed estimate for the costs that are involved with the repair or replacement that is necessary. Should you need someone to come out for an emergency call, we are also available 24 hours a day, 7 days a week. It is important to call the pros whenever you need a gas line installation & repair service in Lynnwood. Call Trident Plumbing and Drain Cleaning today at (425) 321-6043.